Congratulations to Nicole and Treb! 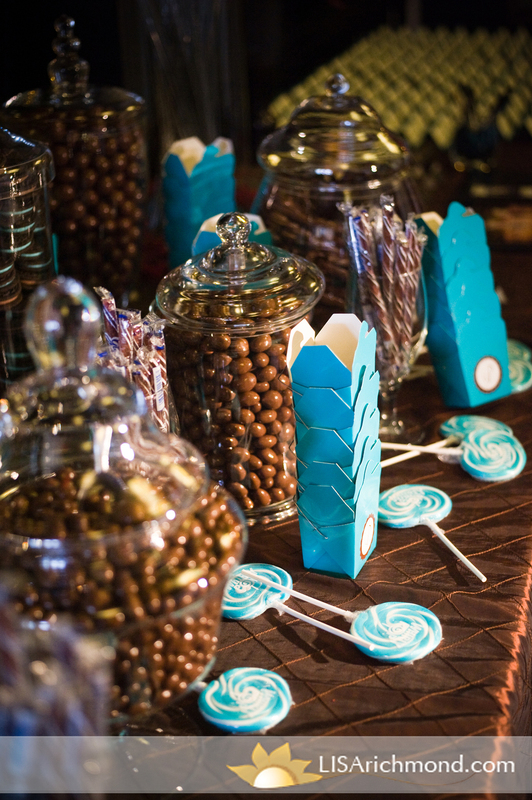 From the Huppa-style alter, to the color coordinated candy bar and sparkler lined departure, the wedding was beautifully designed by Catriona of Arcularius Events. Our favorite part of the night occurred when the groom, groomsmen and father of the groom broke into choreography upon entering the reception room with music coordinated by DJ Matt Brys of Extreme Productions. It wasn’t videotaped, but if it was caught on film, it would have been a hit on YouTube!